I was passing through San Francisco airport last week, and I saw a great collection of vintage typewriters. I even spoke to one guy who showed me a specific model in a glass case, and explained that he had the same one at home that he still used to make notes for his kids. I showed him the 'Hanx' typewriter that I use on my iPad and he was amazed. Great fun looking at these. I love the power of modern computers, with grammar and spell check software (although it has some flaws as we will see when I do another post on proof-reading soon...), but there is something unremittingly romantic about these machines. How about this one here? It's the style used by Ray Bradbury (although I'm still puzzled by how the 'coin-operated-pay-by-the-dollar' system works, for anyone who has read the story about him writing Fahrenheit 451). 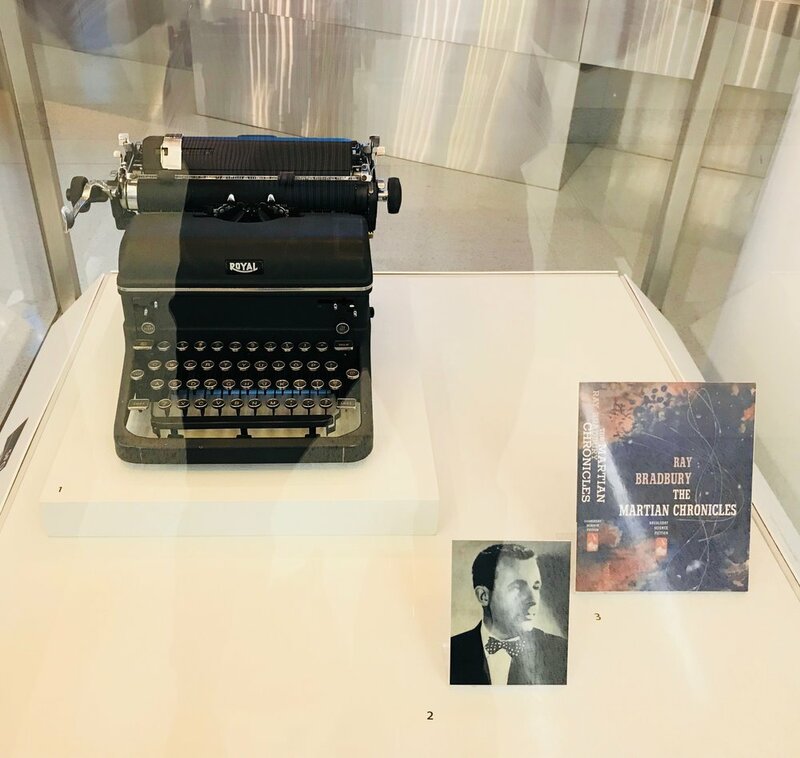 There was also an English Imperial machine with a quote by Paul McCartney about how John Lennon was always on the typewriter when he would go to meet him at Aunt Mimi's house, even though nobody else he knew seemed to have a typewriter. Do any of you Hemmingway-folks still use a physical typewriter, where you have to whack the keys? Or even an electronic one where you change the golf-ball to get a new font? If I had to handwrite everything, I'm not sure I could have been a writer. When you're a left-handed person that uses your right-hand to write (don't ask why), all you get is smudges and a dirty hand.